Celebrating the stars of music, news and entertainment, The Global Awards takes place on Thursday, 1 March. You can watch the whole thing live - we will be streaming the show live from 7:30pm on Thursday night on the Radio X website. You can also watch The Global Awards on Heart TV (Sky 387 / Freesat 506) and Capital TV (Sky 388, Freesat 507). Alternatively, you can download the Global Player. The Global Awards will bring together all Global’s radio stations including Capital, Capital XTRA, Heart, Classic FM, Smooth, Radio X, Gold and LBC with the categories reflecting the music, programmes and news aired on the stations. The public and a panel of industry experts will vote for The Global Awards. There are 16 categories in total across a whole range of genres. Join us for a star-studded ceremony on Thursday 1 March 2018 at London's Eventim Apollo to find out who wins. The first ever star-studded Global Awards show will take place in front of fans and stars alike on 1 March 2018 at London’s Eventim Apollo Hammersmith and promises to be an extraordinary night with performances and special appearances from some of the world’s greatest artists including Sam Smith, Rita Ora, Kasabian, Andrea Bocelli and Martin Garrix. 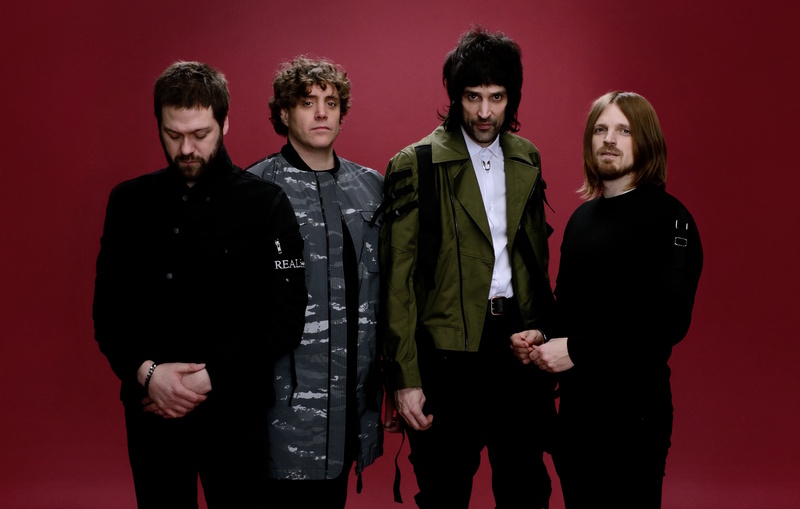 One of Britain’s biggest bands and best live acts, Kasabian will perform at the first annual Global Awards. The four-piece have had five number one albums and a host of top ten hits, including the massive anthems Fire and Empire. They released their sixth studio album For Crying Out Loud last year, with the chart-topping record featuring huge tunes including You’re In Love With A Psycho’ and Bless This Acid House. Sam Smith will perform at The Global Awards. The international singing sensation’s long-awaited second album The Thrill of It All debuted at number one in both the UK and the US. With six UK number one hit singles, Sam has also won four Grammy Awards plus an Oscar for Writing’s On The Wall from the Spectre soundtrack – the first James Bond theme ever to reach number one in the UK charts. Rita Ora will also perform at The Global Awards. One of the UK’s biggest solo stars, she is due to release her second album in what is one of the most hotly anticipated musical comebacks of 2018. With four UK number ones, her latest track Anywhere spent three weeks at the top of The Official Vodafone Big Top 40. In December, she wowed 16,000 fans at London’s O2 when she opened Capital’s Jingle Bell Ball with Coca-Cola and she’s sure to give another incredible performance when she takes to the stage at The Global Awards. Italian tenor Andrea Bocelli is set to raise the roof of the Eventim Apollo with a spine-tingling performance at The Global Awards. One of the biggest selling classical artists of all time with record sales of over 80 million, he’s also the world’s most popular crossover artist. His duet with Sarah Brightman, Time to Say Goodbye, is one of the best-selling singles of all time and his collaboration with Ed Sheeran, Perfect Symphony, is an orchestral version of Sheeran’s chart-topping hit, Perfect. Also confirmed to appear is the world’s number one DJ, Martin Garrix. Martin is the youngest artist ever to top DJ Mag’s prestigious annual Top 100 DJs poll. He had a huge 2017, with Ibiza residencies at Ushuaïa and Hï Ibiza plus massive collaborations with Dua Lipa on Scared To Be Lonely and the recently released So Far Away with David Guetta. Ashley Tabor OBE, Global’s Founder & Executive president, said: “At Global, we’ve built some of the UK’s biggest radio stations and media brands. For more information, see global.com/awards.